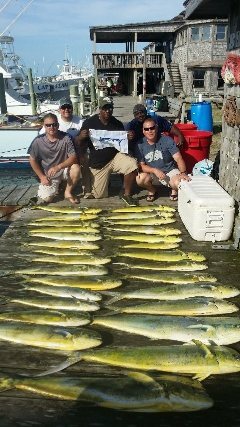 Great day offshore today. We found a pretty grass line that was holding plenty of gaffers out in the deep. We picked at em all day and wound up with a great catch. 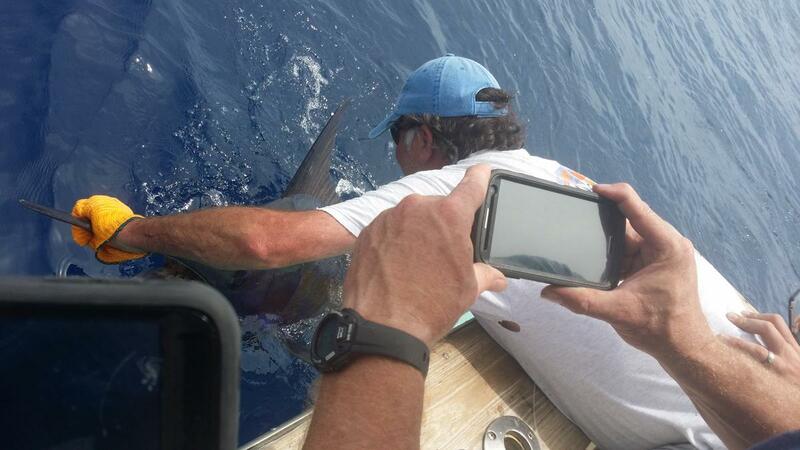 On the way in from the deep we caught a 350lb Blue Marlin as well. Slick calm conditions and great fishing. You can't get any better than this. We have soome open days next week so give us a call if you want in on some of this action.